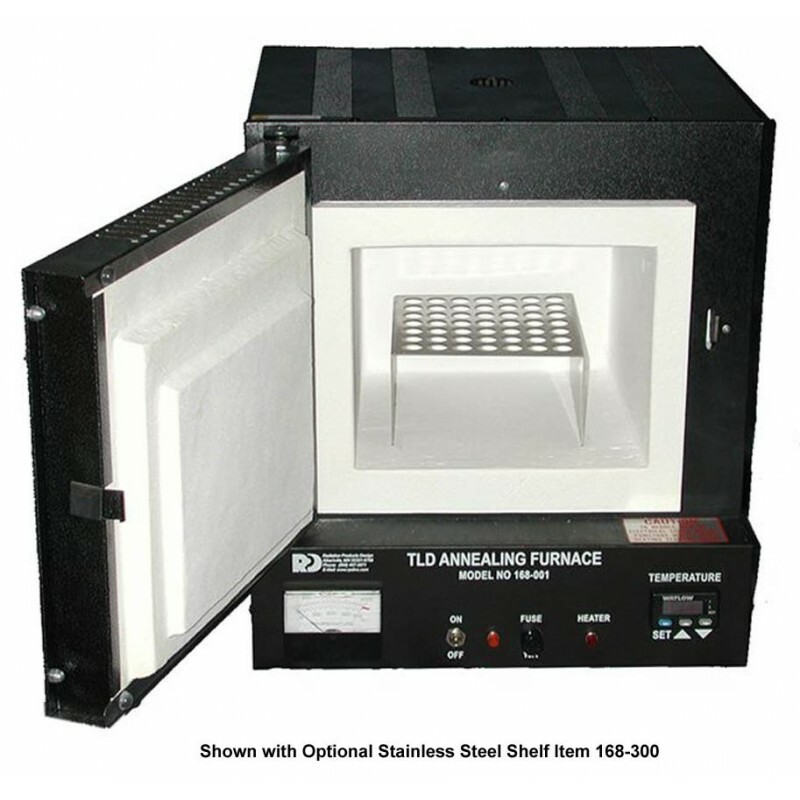 TLD Annealing Furnace 220 VAC, 80, 100 and 400 Degree Celsius - Radiation Products Design, Inc.
TLD Annealing Furnace 220 VAC, 80°, 100° and 400° C.
Utilization of this solid state, closed-loop, automatic controlling system provides faster heat-up rates to a temperature set point in less than thirty minutes. A rugged 18 gauge steel cabinet has an easy access side opening door hinged on nylon with a positive latching mechanism. The stepped fiber door insulation panel is spring mounted for optimum sealing when closed. A large interior chamber provides an even temperature distribution for the aluminum planchet. All steel cabinet surfaces are electrostatically coated with high-temperature baked-on enamel. The heart of the furnace is a rugged, lightweight molded heating unit. The insulation material is space-age alumina-silica fiber. It’s molded into a tough, one piece structure with a heavy duty (14 gauge) heating element embedded in the top and three sides giving increased heat transfer. This provides even temperature distribution inside. An integrated circuit temperature controller switches power on and off through a triac to the furnace heater. 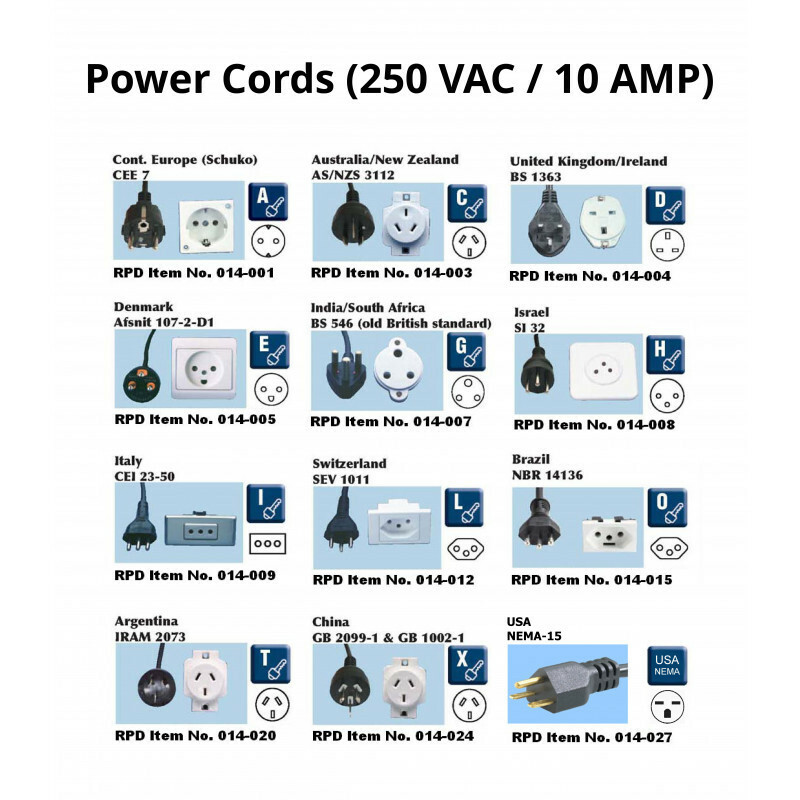 This temperature controller allows you to adjust the desired “Set” temperature. The red digital LED temperature display will indicate the furnace temperature within ±1° C.
Input to the controller is provided by a thermocouple (located in the furnace), which produces a millivolt signal representing furnace temperature. This signal is compared to a reference signal which is adjusted by the “Set” temperature. Any resultant error is amplified and conditioned to provide a switched DC logic signal to an optical coupled solid state relay using zero-cross-over firing pulses to a triac semi-conductor. This proportions power to the furnace heating unit with no line interference. Turn the power switch to “ON”. After an initial adjustment of the “Set” temperature, a red heater indicator lamp will illuminate, indicating power is being applied to the “Heater” in the furnace. A digital display indicates the furnace temperature. After the furnace heats up to the appropriate temperature, open furnace door and place TLD aluminum planchet on shelf then close door. Wait 30 seconds for thermocouple sensor to heat up to furnace temperature then turn furnace on. Leave TLD’s in furnace for about 1 hour or until temperature is reached. Allow 20 minutes soaking time for aluminum planchet. Turn power off and remove planchet from furnace. Place planchet between two brass cooling plates to cool down rapidly.